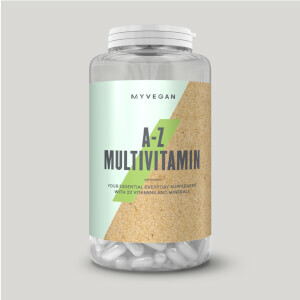 Our tablets make it super-easy for you to hit you recommended requirements of the essential vitamins B12 and folic acid — especially anyone following a plant-based lifestyle, as vitamin B12 is primarily found in meat, eggs, and dairy. 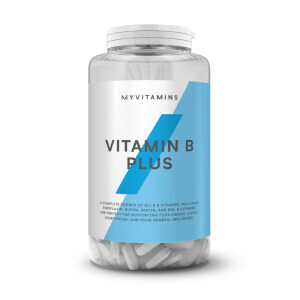 This supplement offers a high-strength source of vitamin B12 from cyanocobalamin, making it the ideal way to keep on top of daily intake, whatever your dietary choices. They’re also naturally energising,1 so are the perfect addition to your training, keeping you feeling your best2 and ready to tackle any workout. 1. 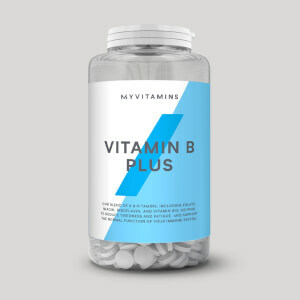 Vitamin B12 contributes to the reduction of tiredness and fatigue. 2. Vitamin B12 contributes to the normal function of the immune system. 3. Vitamin B12 contributes to normal functioning of the nervous system. 4. Vitamin B12 contributes to normal homocysteine metabolism. 5. EPA and DHA contribute to normal function of the heart. When to take Vitamin B12? What does Vitamin B12 work well with? Bulking Agents (Dicalcium Phosphate, Microcrystalline Cellulose), Anti Caking Agents (Silicon Dioxide, Magnesium Stearate), Vitamin B12 (Cyanocobalamin), Folic Acid. This is really great! Finally I am save, finally my B12 (blood test) result is perfect. I had been used a spray supplement B12 but did not work for nothing. And everybody told me that with capsule is pretty sure that could work. Instead it is worked! My B12 was so low and after 2months with this product got normal result! Capsule are very small, easily to swallow with water. I really recommend this one for you. 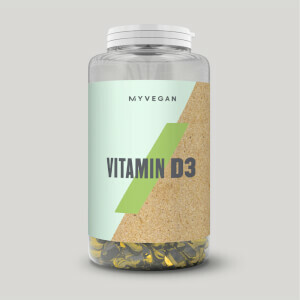 Great price for an essential vitamin for all vegans! These are small, round, hard, flavourless tablets that are easy to swallow. They came well packaged and sealed. It's perhaps a bit fiddly to get only one tablet out the jar, but that's due to their small size, which can't be helped. Beyond that, there's not much to say! A vegan or vegetarian diet.